The history of the «Association of Poster Designers» started at the beginning of the last century. It changed it’s name and legal status several times, depending on the political and social upheavals that were often happening in Russia during the past 100 years. In 1931 «The Union of Workers of the Revolutionary Poster» was established,- this organization is the official root of the contemporary «Association of Poster Designers»; within a year the «Association of Poster Designers» in 1932 became part of the bigger professional association NGO "Moscow Union of Artists" and its history. «The Union of Workers of the Revolutionary Poster» was the last of the numerous creative associations created in Russia at the end of the 19th and the beginning of the 20th century. Members of the union included 149 artists, among them such well-known names as: Brothers B. and G. Stenberg, El Lissitzky, V. Denis Cheremnykh, Y. Pimenov, A. Deineko, M. Kupriyanov, G. Klutsis, A. Pohomov and others. Chairman of the Organization was the acclaimed Russian artist D.S. Moore. The Manifest written by the union members asserted the extremely important role that poster played in the cultural and social life; this manifest became then and there a general policy document that never lost it’s relevance, not even at the present. 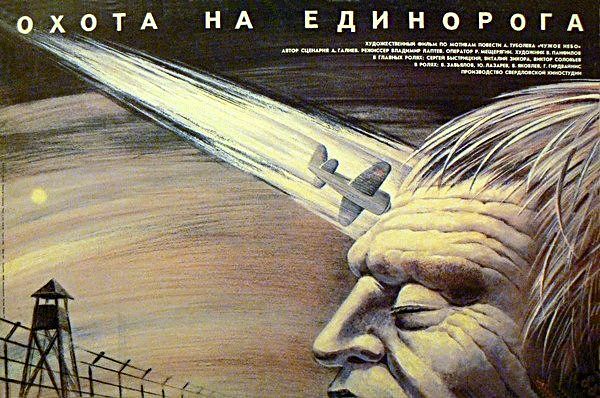 Over the past 79 years Posters frequently were at the top of vanguard movements in Russian fine arts; most important periods were: In the beginning of the 1930s; during the Great Patriotic War 1941-45; and during the late 1950's. Powerful input into Russian design was caused by posters of the Perestroika period. Today the «Association of Poster Designers» is a non-profit organization that gathers professional artists and designers. The latest changes to the legal status were made in 2009; the association became officially an independent body, but according to the Soviet-times tradition all members remain also members of the Moscow Union of Artists. The «Association of Poster Designers» is eager to collaborate and involve in its activities a new generation of designers; many association members are leading teachers in the professional schools and universities. We are constantly searching for new partners among government agencies, non-profit organizations, sponsors and customers in order to intensify activities in the field of design. The «Association of Poster Designers» organise exhibition and competitions, publics catalogues and books. We preserve and promote Russian design heritage; as well we educate professional and the general audiences and develop knowledge about Russian design. During the past 4 years the «Association of Poster Designers» has organized 25 major exhibitions; among them are large poster retrospective exhibitions, such as: "Artist and Time” at the State Tretyakov Gallery and Festival of Cultural Posters. The festival consisted of five exhibitions (each exhibition was dedicated to a specific topic- theater, music concerts, circus, exhibition and movie. Exhibitions were held in different locations; the key exhibition was held at the Russian State Library. This poster festival was held in the frameworks of the Moscow International Golden Biennial of Graphic Design and Days of Design in Moscow; these events received support from the Moscow government. The Association organized many other exhibitions in the top locations, as well as abroad. In 2008 a poster exhibition was held in Washington, USA. In 2009 the association organized its first annual social poster competition. named after V.I. Surikov, Member of the Russian Academy of Arts. Leonov, JB Member of the poster of the Union of Russian Artists. Yakushin A.B.- Professor of the Moscow State Art University name after V.I. Surikov, secretary of the Moscow Union of Artists, chairman of Russian poster commission. All strategic decisions are taken at the unnual General meeting of the association members. During such a meeting the Board of the Association presents a report on the work that was done during the lust year and propose a working plan for the next year.